I've never eaten a quince before, but if I were given one as delicious-looking as this one, I'd taste it right away! 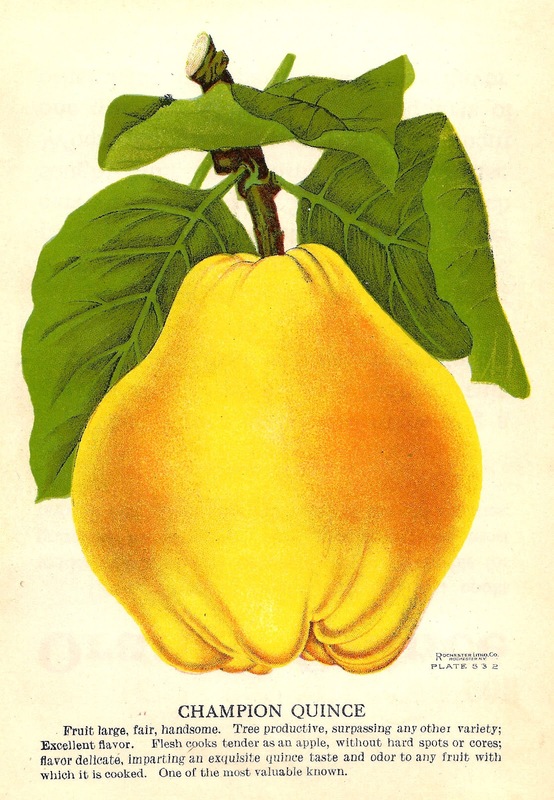 This is a gorgeous piece of fruit clip art from an 1870's seed catalog. Enjoy!